Installation - Cannot Connect to my Existing SQL Database Instance Created by Print Manager Plus. Installation of Workstation Agent, Administration Console or Additional Server install fails when attempting to connect to the SQL instance. This article applies to Print Manager Plus installations where the default SQL Express option was chosen during initial installation. Custom and Enterprise SQL installations are beyond the scope of this guide. It’s important when connecting to choose ServerName\PMP and not just ServerName when connecting, as Print Manager Plus installs a specific SQL Instance for its use. Solution: While installing you must be logged into the machine with a user account that has local administrative privileges on the machine where the PMP Database resides. The service account specified during installation must also be a local admin of the Database machine. Make sure that port is open and unblocked on any firewall software on the server where the database resides. 4. (Uncommon): Ensure the SQL Service Named PMP is Installed and Running on That Server: These steps will help ensure you are connecting to the correct server, and that SQL is running. Locate the service named SQL Server(PMP) and ensure it is listing as running. If it is not listed, then SQL Express is not installed on that machine. The SQL Server Browser servers assists connecting systems in finding the correct port. When it is disabled machines connecting may have an issue. 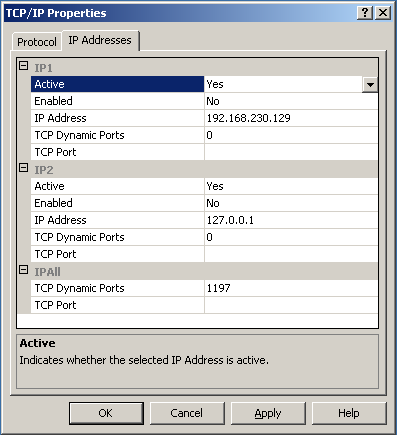 Solution B: Specify an exact port instead of an Instance name when connecting. Where 1234 is the port. See Cause # 3 for steps on determining what port your SQL installation is using. If none of the causes and solutions resolved your issue. Please follow the following steps to provide support with valuable information to assist in troubleshooting further. The exact server and instance you are entering into the SQL Server box. What permissions the user you are logged in with has to the machine running SQL. SQL - Application Log is filled with Event 17137, Starting up database 'PrintManager90'. Printers - Why are my printers missing or not listed in Print Manager Plus? Copyright ©2014 Print Manager. All Rights Reserved.